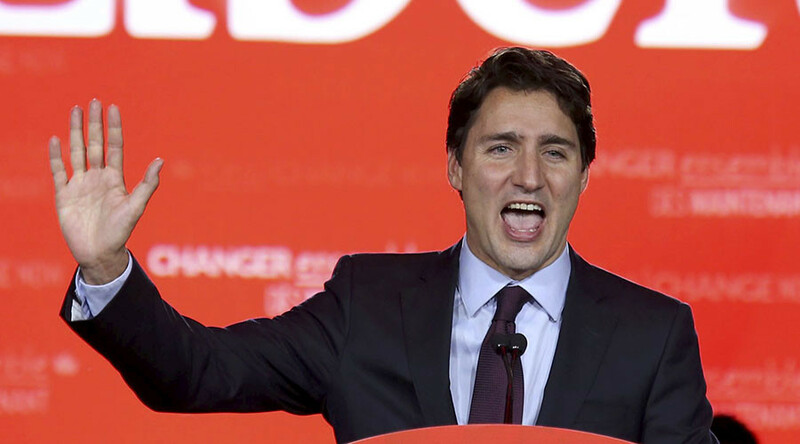 The Liberal party’s victory in the Canadian general election is raising questions about the new government’s commitment to the Trans-Pacific Partnership and the Keystone XL pipeline, projects of interest to the US championed by the outgoing cabinet. Monday’s poll saw the Liberals, led by Justin Trudeau, win 184 seats in the Canadian parliament – more than enough to form a majority government. Stephen Harper’s Conservatives came in second with just 99 seats. The outgoing PM was enthusiastic about the Trans-Pacific Partnership (TPP), a recently negotiated free-trade pact between 12 Pacific Rim nations, excluding China. 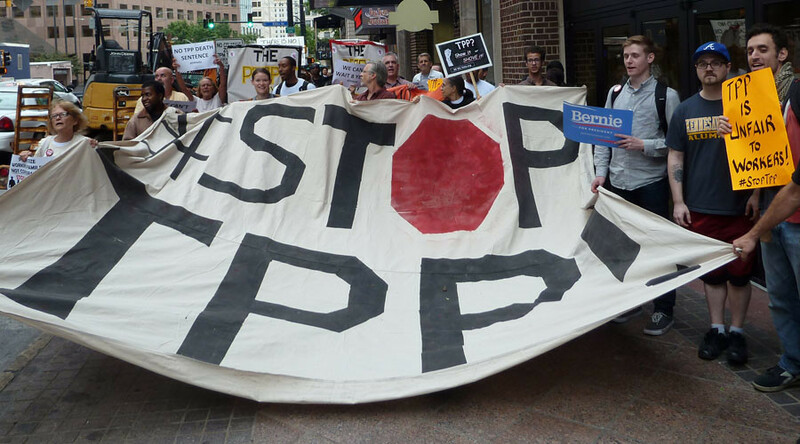 The White House has repeatedly presented the TPP as a way to prevent China from “writing the rules of the global economy,” in the words of President Barack Obama. During the campaign, Trudeau came under attack by the Conservatives and the New Democrats for declining to make up his mind on the TPP. Canadian media reported on Tuesday that Trudeau’s transition team will be headed by Peter Harder, a seasoned Ottawa bureaucrat currently presiding over the Canada-China Business Council. While not opposed to the Keystone XL pipeline, Trudeau is less enthusiastic about the project that caused his predecessor to clash with Washington. Much of Harper’s political base is in Alberta, where tar sands exploration provides a major part of Canada’s crude oil exports. Harper has been pushing for the construction of the pipeline for the past nine years, despite opposition from environmentalists, residents along the planned route, and the Obama administration. “Unfortunately, Mr. Harper has narrowed the entire relationship with the United States to a single point around the Keystone XL pipeline,” Trudeau said during a recent debate, blasting Harper for “haranguing” US President Barack Obama over the issue. Trudeau is also an environmentalist, who said he would favor national curbs on greenhouse-gas emissions to balance the oil sands drilling. The Liberal party has pledged to oppose oil tanker traffic off the northern coast of British Columbia. This would effectively kill off the Northern Gateway pipeline project that the Harper government supported. 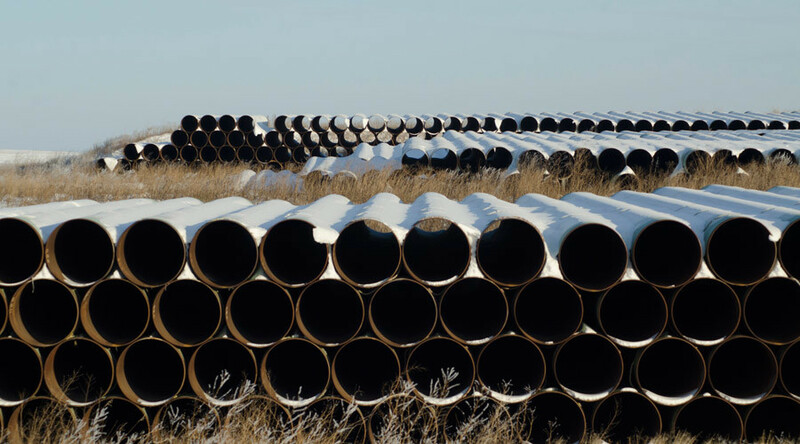 The White House said on Tuesday that the result of the Canadian election would not influence the timeline of the US’ decision on Keystone. President Obama still expects to make the final choice before leaving office in 15 months, spokesman Josh Earnest told reporters. Hydraulic fracking operations in the Alberta tar sands have become far less profitable since the price of crude oil slipped to $50 a barrel, down from $100 when Keystone XL was conceived. Justin Trudeau is the first son of a Canadian PM to follow in his father’s footsteps. Pierre Trudeau was prime minister of Canada between 1968 and 1984, with a nine-month interruption when the Conservatives were briefly in power. Joe Clark, who was 39 when he took office during that interregnum, was the youngest PM in Canadian history; at 43, Justin Trudeau will be the second-youngest. The Liberals suffered a disastrous defeat in the 2011 election, slipping to third place behind Harper’s Conservatives and the New Democrats. However, they have made a big comeback under Trudeau, who became the party leader in 2013. According to Canadian electoral officials, Monday’s election saw the highest turnout since 1993 and resulted in the biggest change in the number of parliamentary seats in Canadian history.